We want your experience on a WCA’s midway to be fun. Safety First is our motto, and we need your help to keep the midway safe. Here are the answers to some of our guests frequently asked questions so you can be prepared to enjoy your experience. What are the prices for regular tickets? All Rides take between 3-7 coupons! Wristband pricing will vary, please check your location for wristband pricing and other promotional offers. What hours is the Midway open? Our general hours are School Days – open at 3pm and Non-School Days – open at 12 Noon. To be certain, you will want to check your location in the calendar. What if I get there and the weather is bad? We cannot be responsible for weather and therefore we do not offer refunds. Some rides may be closed if there are unsafe weather conditions. May I exchange my ride ticket? There are no refunds or exchanges allowed after you purchase your tickets. Yes we accept both credit and debit cards at all booths, except for the games. For your convenience we have ATMs available throughout the Midway. Do you have unlimited ride tickets? When the event offers unlimited ride specials, your unlimited ride wristband is good only for one rider on one day and must be securely attached around your wrist in order to be valid. Multi-day wristbands must be secured on the wrist for the duration of the event. Lost or broken wristbands will not be replaced. What should we wear on the rides? Be sure to wear closed-toe shoes and avoid wearing any loose clothing. No casts are permitted without previous approval from the Guest Relations Office. Is there any age restriction on the rides? Children under 2 or under 36 inches are not permitted on any rides. Others must be personally responsible to be in good health and free of conditions that may be aggravated by the rides. Pregnant people are not permitted to ride. There is no exception, including the carousel. Do I have to pay to ride with my kids? Every rider is required to have a ticket on each ride. Do you have height requirement for rides? Check all rides to make sure you are tall enough. We post signs that have the height requirement and any specific guidelines at each attraction. For your safety, we strictly enforce these requirements. 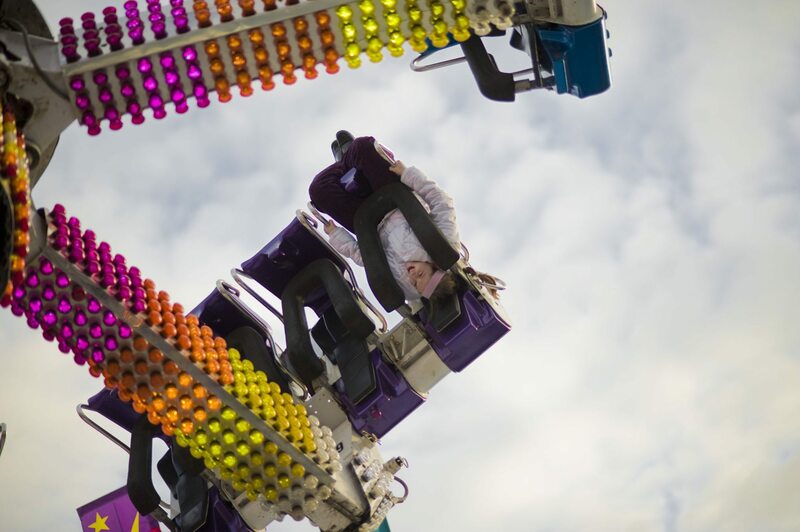 How can I stay safe at the Carnival and on the rides? WCA is not responsible for any personal belongings – please keep your belongings with you for find a safe place to keep them while you’re on the rides.